Joseph Muscat, the Prime Minister of Malta, believes that cryptocurrencies are the “inevitable future of money” and that blockchain technology can promote a sustainable future by fighting “regressive and reactionary politics”. He made these bullish statements during the 73rd Session of the General Assembly of the United Nations, which took place in New York. During his speech, Joseph Muscat shared his views on the role of blockchain technology as the key to solving many of the issues the world is facing, from corporate accountability to healthcare and even personal data protection. Unlike some countries that are focusing on the short-term gains, Malta understood how beneficial blockchain and cryptocurrency can be in the long run. The efforts made by the legislators in Malta to facilitate the adoption of cryptocurrencies and of blockchain technology are being increasingly noticed by key players in this emerging market. Many crypto and blockchain companies have already moved their businesses to Malta, such as for example Tron and Crypto.com (formerly known as Monaco). Similarly, CEO of Crypto.com also expressed his support of “the bold vision of Joseph Muscat and Malta’s vision of the Blockchain Island”. The optimism expressed by the Prime Minister of Malta is not shared by everyone just yet. On 19 September, the Treasury Committee of the UK Government described crypto asset market as “Wild West” and stated that one of the most visible features of these assets is the volatility of their prices. 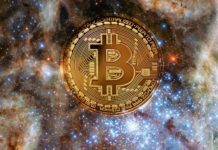 On the other hand, Internet giant Google, has decided to lift the ban on cryptocurrency exchange ads in the US and Japan, and US investment bank Goldman Sachs is determined to add Bitcoin and other cryptocurrencies to its portfolio. In parallel, more and more individuals welcome the idea of being paid in Bitcoin or already hold crypto assets. In this complex context, Joseph Muscat’s speech before the UN General Assembly has a powerful significance – a strong, public endorsement for the blockchain technology and cryptocurrency, which may sway some of the negative or undecided views on this topic.